Tracking to see a group of mountain gorillas in the wild mountains of central Africa is arguably the most exhilarating and unique wildlife experience on earth. These fascinating and intelligent primates are highly endangered with their populations restricted to two small areas � Bwindi Impenetrable Park in Uganda and the rainforests of the Virunga Mountains on the borders of Rwanda, Uganda and Congo. 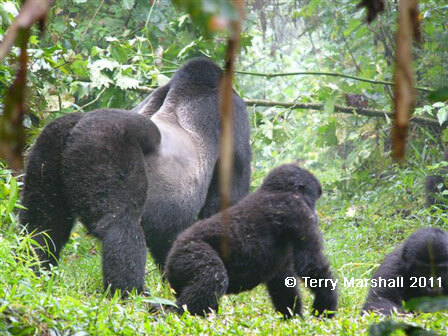 The gorillas live in highly social family groups, led by a dominant silverback male. Some of these groups have been habituated to human contact, allowing tourists to visit and observe them in their natural habitat. 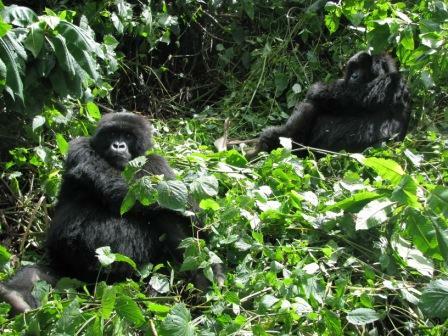 The gorilla tracking program is an excellent and successful example of ecotourism benefitting conservation. It�s been estimated that each habituated family group will earn over $40m over the course of its lifetime, money which is used to protect its habitat and guard against poachers. A recent census has found that gorillas numbers have increased significantly in the last 30 years � 480 now live in the Virungas in 36 groups (almost double that of 1980) along with 300 in Bwindi. 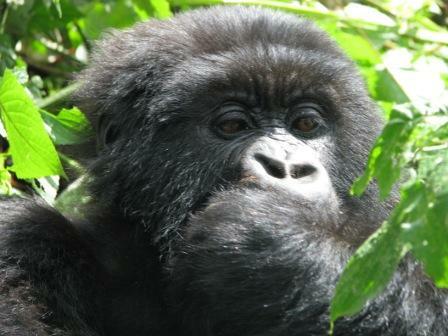 Permits to track the mountain gorillas are strictly limited to 8 per day per habituated group. They cost approximately $500 and must be obtained in advance. Sightings can never be 100% guaranteed but in reality there is an excellent chance of finding the groups as their locations are constantly tracked. Reaching the gorillas requires a trek of between one and five hours through thick undergrowth, which can be tricky in wet conditions. The reward is most definitely worth it however as you get to spend one hour observing these fascinating and gentle creatures up close, a truly unforgettable experience. 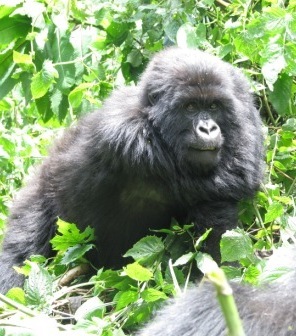 Virunga National Park is located in eastern Congo near the border with Rwanda. Covering some 7,900 km², this vast region comprises many different habitats, including wetlands, savannahs, lava plains and the forested slopes of the Virunga volcanoes. The park is an important wildlife habitat, most famously as one of only three locations where the few remaining mountain gorillas live. The savannahs are home to elephant, lion, buffalo, warthog and antelope while there are huge concentrations of hippopotamus in the park's rivers. The park's wetlands are also important wintering grounds for Siberian birds. 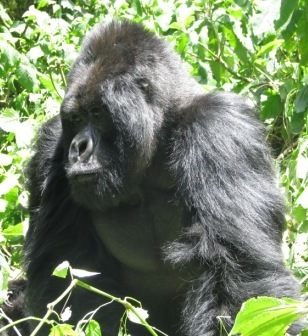 Organised group tours: Click here to see 3 tours to Lake Victoria (Kenya/Uganda/Rwanda) which may include Mountain Gorillas. Extraordinary BBC documentary documenting the struggle for survival of mountain gorilla groups the mountains of Uganda and Rwanda. Biopic about the famous primatologist Dian Fossey who studied the mountain gorillas of Rwanda and fought to protect them from poachers.